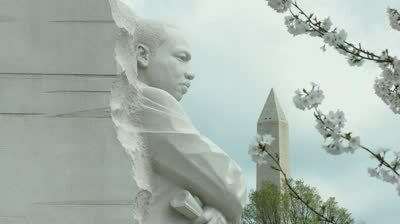 I raise a special thanks to Anu Garg for reminding me that today is Dr. Martin Luther King Jr’s birthday. If you’ve been visiting this space for a while you know that Dr. King is one of my personal heros and I like to pay my respects periodically with whatever thoughts his words have sparked in my own mind. Admittedly, I don’t know much about MLK, but I am always inspired and impressed by his words. And I am so grateful to live in a place where I am frequently reminded of his many insights. My favorite part of the A.Word.A.Day emails is the thought for today. I don’t have the kind of mind that takes in new words for their own sake, but thoughts are another matter. Here was today’s thought and I must say that it strikes such a chord with me (as MLK’s quotations always do). There is something to be said for truly honoring oneself by considering our higher self when making choices of how we act in this bewildering world of ours. Indeed, such thoughts are often on my mind these days as I review the choices that I’ve made and my consequent frustrations. Knowing why I do what I do keeps me on track even when it seems like a different course would be easier in the short term. And I must say that the words of strangers in cyberspace have been a salve to those frustrations too. It’s comforting to be encouraged in whatever form. This entry was posted in The Enlightened Path, The Gratitude Stash on January 15, 2014 by elizatwist.